← BALAKONG: CRITICAL WATER SHORTAGE! Facebook Pages BLOCKED! 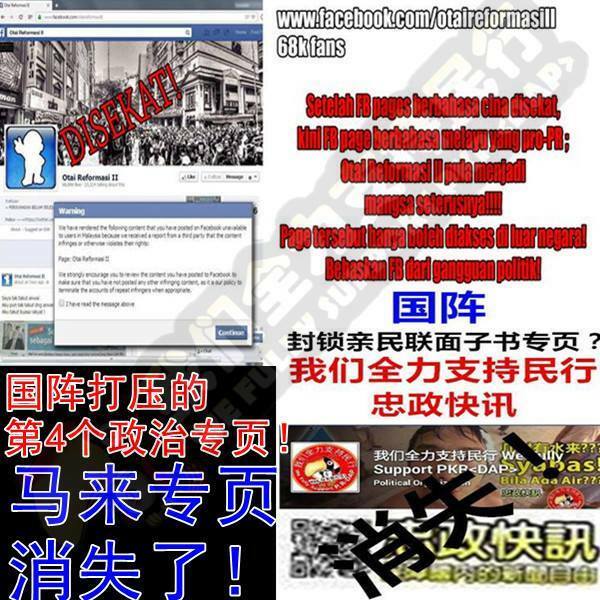 Pro-Pakatan Facebook users to retaliate! 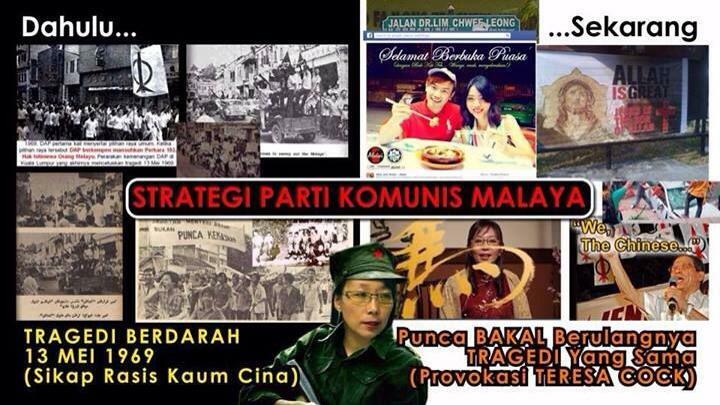 WILL THE RETALIATION CAMPAIGN OF PRO-PAKATAN USERS WORK? Among others, they have urged netizens to report the Facebook pages of blogger Papagomo and Shen Yee Aun, a former DAP member and current Utusan Malaysia columnist, who has been gloating about the actions taken against the pro-Pakatan Facebook pages. The BN-Pakatan Rakyat cyberwar has taken a new turn with pro-Pakatan Facebook users vowing to strike back with attempts to disable pro-BN Facebook pages. Over the past week, netizens have been unable to access several popular pro-Pakatan Facebook pages in Malaysia, but the pages were still accessible abroad. It is understood that opponents of these Facebook pages have mounted a coordinated campaign to report the pages for violating Facebook’s policies. In retaliation, a new page, dubbed the Pakatan Fanpages Alliance, has urged netizens to adopt the same tactics on pro-BN Facebook pages. Illustrated instructions detailing the necessary steps were also supplied. As of noon, Shen’s Facebook page remains intact. Thus far, the Pakatan Fanpages Alliance have claimed victory in disabling access to a pro-BN fanpage known as Boikot Barangan Cina DAP, which reportedly had 62,224 followers. One more Pro PR page with 700,000 likes have been block! Lawan Tetap Lawan! Malaysiakini has written to Facebook to seek comment on its alleged regional blocking of the two pages, but there has not been a reply at the time of writing. At least two more pro-Pakatan Facebook pages had become inaccessible for Internet users locally today, raising more questions among netizens if the inaccessibility was being caused by a ban by local authorities. 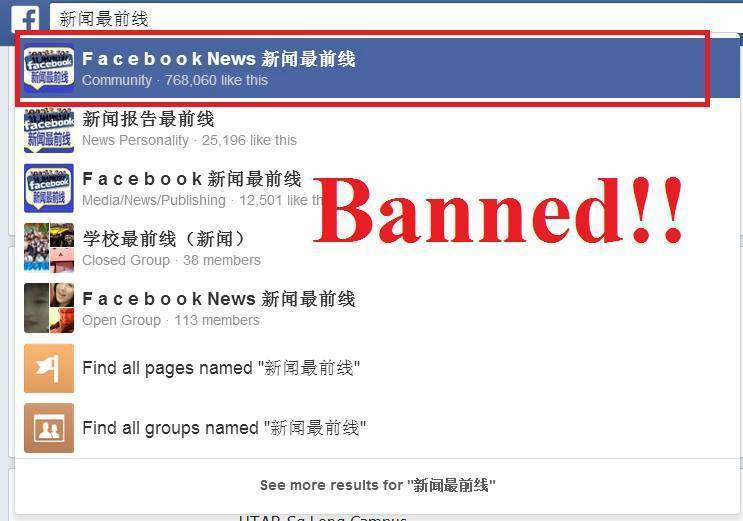 After the unavailability of several Chinese-langauge pages which were popular with netizens during the 13th general election, netizens today reported that a Malay language pro-Pakatan page, ‘Otai Reformasi II’, which has 68,000 followers, had also become unaccessible. The other Facebook page which suffered a similar fate today was a Chinese page for overseas voters, called ‘Hai Wai Xuan Min’, with 14,000 ‘likes’. This takes the total number of pro-Pakatan Facebook pages that had become inaccessible since the weekend, to at least five pages. However, Deputy Communications and Multimedia Minister Jailani Johari said that he did not know about the supposed blocking of these pages. Deputy Communications and Multimedia Minister Jailani Johari said today he was not aware of regulators blocking access to pro-Pakatan Facebook pages. Jailani said his ministry was neutral and would assist in censoring the Internet if people complained. However, he said, he does not know whether the pro-Pakatan Chinese language Facebook page ‘We Fully Support Pakatan (DAP)’ was being blocked. *This Facebook Page hasn’t been blocked. 2. Apa polis boleh buat, kita raja. Buang semua polis Melayu. 3. Mati Melayu, sakai pergi masuk . 4. KL sekarang Cina punya. 5. Melayu balik kampong, Melayu sekarang tiada kuasa, sekarang kita Cina sudah control. 6. Melayu keluar! Apa lagi duduk sini, kita hentam lu, sekarang kita sudah ada kuasa. 7. semua Melayu kasi habis, kasi halau semua polis. 8. Apa ini Melayu, kita sudah perintah dia negeri, ini negeri bukan Melayu yang punya, mata-mata lancau. 9. Butuh Melayu, Malai si pergi mati Melayu. Melayu.Fakta ini telah dibacakan oleh bekas ahli parlimen Kulim-Bandar Baharu, Zulkifli Nordin di dalam parlimen, dan tidak pernah dinafikan oleh ahli parlimen DAP yang termasuk Lim Kit Siang sekaligus mengakui Lim Kit Siang pernah mengeluarkan ungkapan begini. Ramai generasi Melayu tidak tahu mengenai fakta ini. 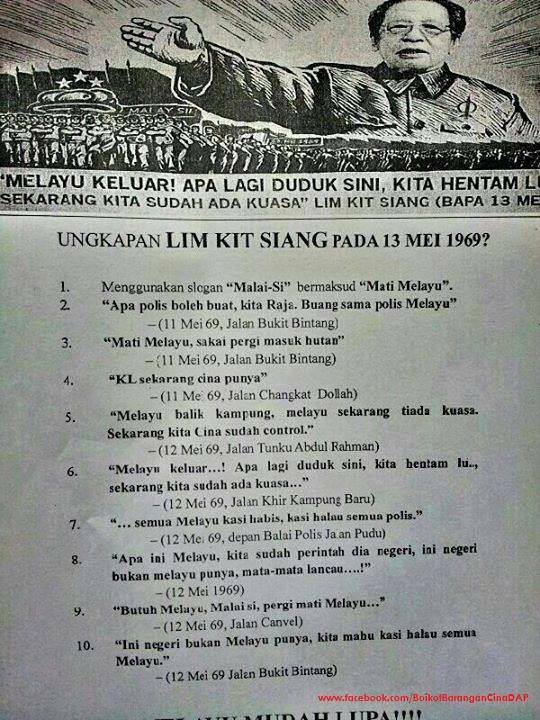 Diharap semua dapat CLICK SHARE untuk sebarkan sejarah yang perlu kita ingat siapa itu Lim Kit Siang DAP? CLICK SHARE! *This Facebook Page isn’t blocked. Setelah beberapa FB pages berbahasa cina menjadi mangsa disekat, kini tiba pula giliran FB pages berbahasa melayu yang pro PR. Otai Reformasi II (https://www.facebook.com/otaireformasiII) yang mempunyai 68k fans adalah mangsa terkini disekat dari diakses dari Malaysia. Bebaskan FB dari gangguan politik! Pro-Pakatan Facebook pages blocked in M’sia? Several popular pro-Pakatan Facebook accounts have been inaccessible in Malaysia since yesterday afternoon, sparking speculation that they are being blocked locally. Attempts has been made to access the affected Facebook pages, but the URLs directed back to the Facebook homepage. According to a press statement by Perak DAP economic bureau chief Chong Zhemin, the affected Facebook pages include ‘We Fully Support PKR<DAP>’ and ‘Zhong Zheng Kuai Xun‘. These Facebook pages are popular among the Chinese community, especially during the last general election, circulating pro-Pakatan messages and garnering up to 500,000 likes. According to a screenshot circulating on Facebook, ‘We Fully Support PKR<DAP>’ questioned whether they are being “oppressed” by the authorities. However, a pro-BN group leader claimed that ‘We Fully Support PKR<DAP>’ is instead being blocked by Facebook after receiving report that it contained “hate speech”. According to the screenshot uploaded by Shen Yee Aun (right), the president of Malaysia Youth Rights Movement, it was mentioned that the ‘We Fully Support PKR<DAP>’ page “has been removed in certain regions where legally it can’t be posted”. “Today is the happiest day in my life. 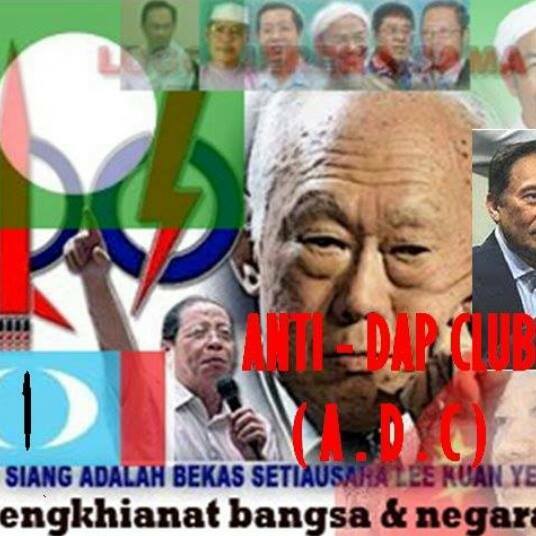 DAP’s Red Bean Army No 1 page has been shut down by Facebook. This is what it means by karma,” said Shen. Shen is a former DAP member-turned-critic. He and the mainstream media had claimed that DAP controlled a cybertrooper called the ‘red bean army’, an allegation the opposition party has denied. This entry was posted in Uncategorized and tagged censorship, DAP/PKR fb pages, Facebook Pages blocked: who did it?, malaysia, politics, pro-BN fb, shen yee aun. Bookmark the permalink.